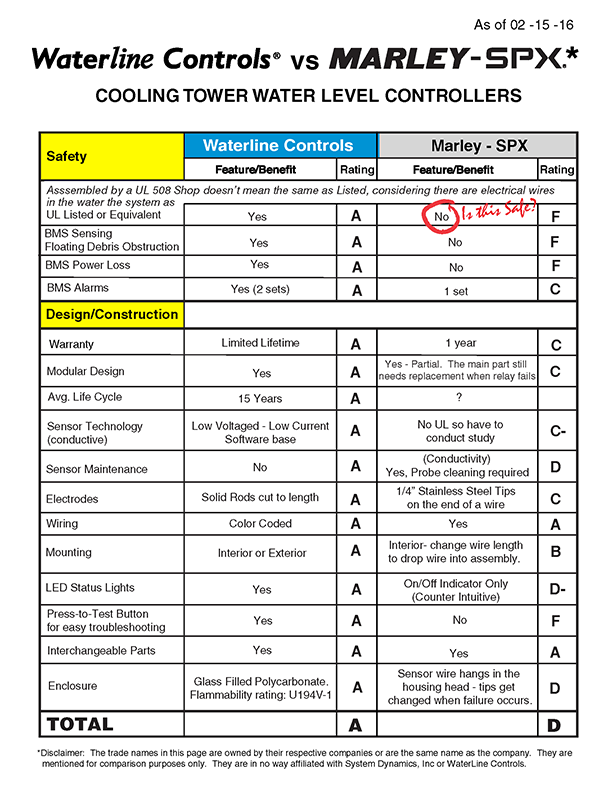 In cases where conductivity probe systems have failed Waterline Controls level sensors have been and can be used on Marley cooling towers. Waterline Controls uses a software driven sensing technology that uses low voltage and low current to eliminate fouling, deterioration or pitting of the sensor probes over time no matter what the water conditions in the environment. Hence, the reason why many Facility Managers, Engineers and OEM Manufacturers have turned to Waterline Controls for their solution. Our 5 Year Limited Replacement Guarantee is unmatched in the industry.